When you think about the brand Burberry, you might think about the checkered (a bit old-fashioned?) brown purses, coats and scarfs that are way too expensive to buy all by yourself. But this British luxury fashion brand is not that outdated as you might think. In fact, Burberry and Google have recently teamed up for a romantic and innovative new project, Burbery kisses, which fits into the Google’s Art, Copy & Code project. 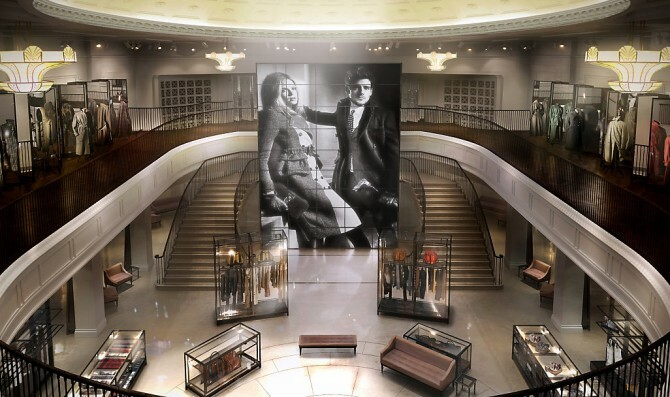 Through this initiative, Burberry is simultaneously building on its history while embracing new technologies, which is always a tough balancing act for a heritage brand. However, what they are really trying to do is reimagine how luxury marketing is done on the web for Millennials and do it from the lens of beauty products. In this way, Burberry can show off its younger, more playful side as well as its digital prowess: all important traits in attracting Millennials eager to spend their dollars. And it’s not the first time Burberry is appealing to Generation Y by building a reputation of being one of the few luxury brands to get digital. Previous actions like Tweetwalk, Burberry Bespoke and Burberry World Live have already proven that this fashion brand has successfully managed to merge the digital and physical worlds to bring rich, dynamic and interactive experiences to its fans. So what are you waiting for? Follow the guidelines and experience it yourself! Once the love is spread, visit the World of Kisses online, (a map that shows real-time kisses being sent around the globe) and find out who else shared some love as well. And if people around you in the office or at the bus stop are watching you like you are some crazy person, just spread the word and let them do the same :).